When cycling near large vehicles, consider driver blind spots and avoid becoming trapped on the inside of lorries that are about to turn left. Some people are put off from cycling for reasons of safety, however, research by the British Medical Association shows that the health benefits of cycling far outweigh the risks. 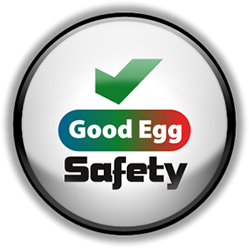 By following the common sense tips in The Good Egg Guide to Cycling for Families it is easy to stay safe. If you're to make cycling part of your daily life, do so on your own terms. Begin slowly and gradually build your level of confidence in your own time. 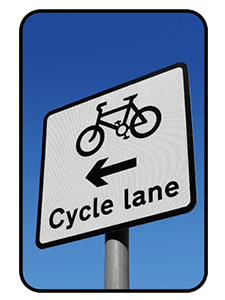 If you're concerned about cycling on busy roads, plan a route on cycle paths or quieter roads. It's also important to go at your own pace, especially if you're just starting out or cycling with your children. Don't put pressure on yourself to cycle if you aren't comfortable.